This pack is a great way to get some variety of your favorite patterns! 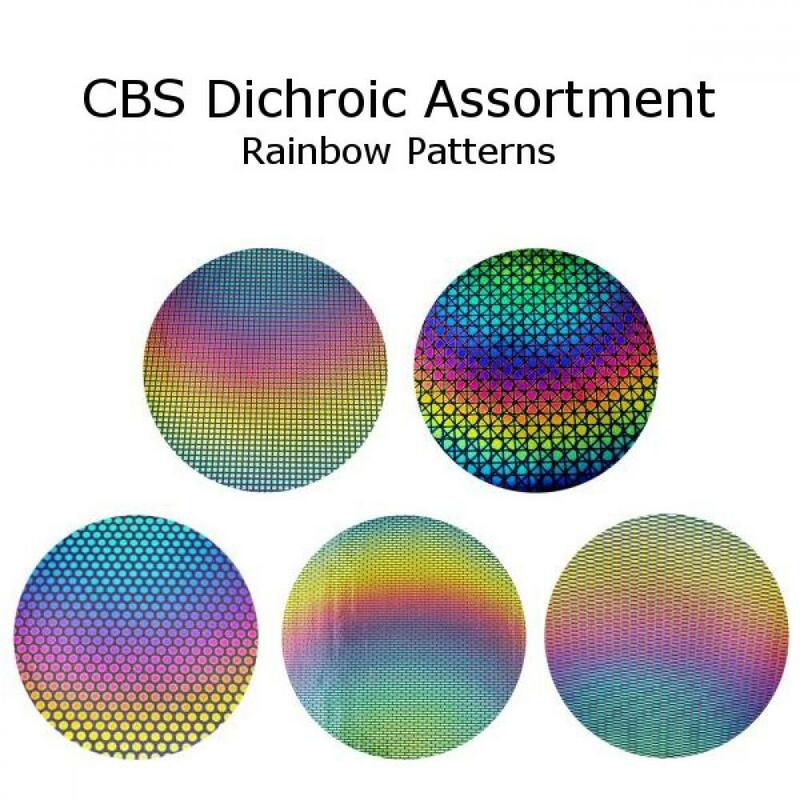 It contains 5 different pieces of CBS Dichroic's Rainbow patterned glass. Choose from a variety of sizes on thin black glass. * Image shown is an example of the colors in a pack. Actual packs will vary. * Color requests may be made in the order comments box but are not guaranteed to be filled.